The Jays got a dominant pitching performance from Drew Hutchison who held the Yankees to just one hit over seven innings while Aaron Sanchez breezed through the final six outs to give the Jays a 2-0 victory. The Fisher Cats also had just four hits but were only able to score once to fall to New Britain. P.J. Walters struck out seven over his 7 1/3 innings, allowing three runs on seven hits. Andy Burns, Kevin Nolan, Melky Mesa and Michael Crouse had the hits for the ‘Cats. Game two was only marginally better as the Blue Jays had one more hit (three) than in the first game. Dwight Smith, Jr. had two of them while Kevin Patterson had the third. 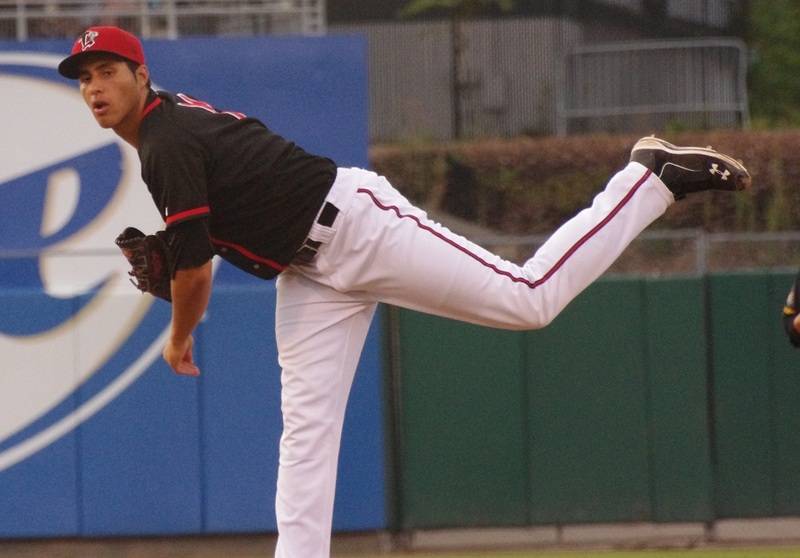 Jesse Hernandez went five innings, allowing one run on eight hits. The Lugnuts lost again to South Bend and fell to a game behind the Dayton Dragons for the second playoff spot in the Midwest League Eastern Division with two games to go. Matt Dermody was rocked for five runs over the first two innings before Alonzo Gonzalez came in to dominate the Silver Hawks for five innings, not allowing a hit and striking out six. Jason Leblebijian was 1/3 with a walk and a solo home run while Dickie Joe Thon was 2/3. An eighth-inning rally got the Vancouver Canadians by the Spokane Indians to hold on to a one-game lead in the second half standings and keep them in a position for a playoff spot. Jairo Labourt had another solid start although he allowed four hits and five walks in five innings with five strikeouts. Fortunately, all those baserunners only added up to one unearned run. Alberto Tirado wasn’t so lucky as he allowed three runs (one earned) over two innings, blowing a save. Justin Shafer and Phil Kish kept the Indians off the board until the offense could get the club back on top. That offense was driven by Tim Locastro, Richard Urena and Alexis Maldonado who each had two hits. Locastro was on base a third time, getting hit by a pitch yet again and Urena’s two hits included a triple. Ryan McBroom hit a two-run double in the bottom of the eighth to put the C’s up for good.